Ernesto Leucona y Casado was born on August 6, 1895 in Guanabocoa, a village near Havana, Cuba. His oldest sister, Ernestina, introduces him early to the piano, an instrument which Ernesto shows astonishing talent for. At just 7 years old, the sudden disappearance of his father, director of the periodical “El Comercio”, forces him to help contribute to his family’s income by playing piano in the fi rst silent theatres of the capital. However, from 1904 to 1907, he attends the “Conservatory of Carlos A. Peyrellade”, where he strikes up a strong friendship with the young Rita Montaner, who would soon become a central figure of Cuban poetry. The following year he publishes his first work, a two-step titled Cuba y America. Next he studies for several months with Antonio Saavedra, disciple of Ignacio Cervantes, and between 1908 and 1909 he works at the Teatro Martì. Here, particularly attracted to the opera, he puts on his first musical comedy, Fantasia Tropical. In 1910, he becomes the pupil of Joaquin Nin and later of Hubert de Blanck, the Dutch composer who migrated to Havana, and who in 1885 had founded the “Conservatorio Nacional” in the capital. In 1912 he composes his first ballet, La comparsa, which marks the beginning of his most original musical pursuits. included Vals España, and other ballets among which were La comparsa. In 1917, he made his debut at the Aeolian Hall with his personal compositions and those by other masters. In 1918, having returned to Cuba, he opened the “Instituto Musical de La Habana”. In 1819, he wrote hisfirst professional opera, Domingo de Piñata, which was performed at the Teatro Martì with lyrics by Mario Vitoria. In the same year, he presented En recluta del amor, written together with the poet Gustavo Sánchez Galarraga, who would also become his great friend and collaborator. In 1923, Lecuona performed the Concierto Tipico Cubano for the fi rst time at the “Teatro Nacional”. Two years later he went to Madrid for some concerts in which he introduced, among others Levánate y Anda, a distinct piece destined to be performed over 1,000 times. Starting in 1927, his ideas about the opera entered into a more mature phase: the themes are more articulated, the choral songs are more numerous, and the libretto is no longer a mere succession of songs. With Rita Montaner as the principal performer, Lecuona presented nine pieces, among which were Es Mucha Haban, La Revista Femenina and above all Niña Rita, extracted from a song by Grenet, with which began the golden era of Cuban opera and the rise of Rita Montaner. performed everywhere by numerous artists and big bands. From that moment on, Ernesto Lecuona was nicknamed “the Cuban Gershwin”. to Armando ‘Fichin’ Oréfiche (1911, Havana), together with whom Lecuona wrote various popular melodies played by the group. extraordinary European tour that lasted until the start of World War II (Armando Oréfi che and his brother, Adalberto Chiquito, later left the group due to internal disputes and founded the “Havana Cuban Boys”). Ernesto Lecuona rarely played in public after the war. He chose to live in his farmhouse in Havana, where he dedicated himself to gardening and to breeding tropical birds. Even if he earned a lot of money, he preferred a simple lifestyle: he didn’t drink alcohol but was a big coffee drinker, and he was willing to travel endless miles in order to avoid taking an airplane. He was proud of his roses and of his fruit trees, and he was also a passionate poker player. He detested politics but was notoriously generous: he organized and fi nanced, with his own money, various artists’ associations lacking in public fi nancing. In 1955, together with the maestro Gonzalo Roig, he founded the Sociedad Nactional de Autores de Cuba, devoted to protecting copyrights of local musicians. When Fidel Castro came into power, Lecuona left Cuba for good. He settled in Tampa, Florida. On vacation to visit his father’s native country, he died on November 23, 1963 in Santa Cruz de Tenerife, in the Canary Islands. His death was caused by an asthma attack, a disorder which had persecuted him his entire life. He was buried in the Westchester cemetery, in New York State. Ernesto Lecuona wrote more than 400 songs, 176 pieces for the piano, 50 theatrical pieces, 31 orchestral works, 11 soundtracks for the cinema, 5 ballets, one trio and an opera. But it is above all the hundreds of interpretations of pieces such as Siboney, Para Vigo Me Voy (Say Si Si), Canto Karabali (Jungle Drums), Maria my Own (Maria La O), La Comparsa and Malagueña that helped him achieve his international popularity. Musically, his work for the piano introduces elements of remarkable originality despite having dealt in a non-avant-garde ambient (which Lecuona did not like, despite actively having supported the initiatives of contemporary music played in Havana. To the influences of the “refi ned” music of the first half of the century, he adds a re-evaluation of the Spanish tradition, and additionally Cuban, in a classical key. His attempt, certainly achieved, at integrating rhythms and traditional melodic expressions with the structures of the late-Romantic writing for the piano, is of absolute interest. The movements of dance, always present, mix themselves with the classical forms of the prelude, that echo the influences of Debussy (very evident, for example, in Ante el Escorial). Similar hints at the piano compositions of Chopin are again found in the formulas that accompany the Waltz, while in frequent virtuoso passages, typically lisztiane ideas are recognized. The melodic expressions are surprisingly concise. It’s often a matter of measures that do not exceed one or two beats and, markedly in the Cuban inspired pieces, the density reached is almost extreme. It’s a precise aesthetic choice: they are not works to dance to but to listen to, and they make one think of the synthetic compositions of Bartok, inspired by Balkan rhythms. Not be undervalued is his important influence as a musical composer for the cinema: typically “Hollywoodian” harmonies, such as the Preludio a la Noche or the central part of Ante el Escorial, attest to the versatility and the openness of his compositional style. 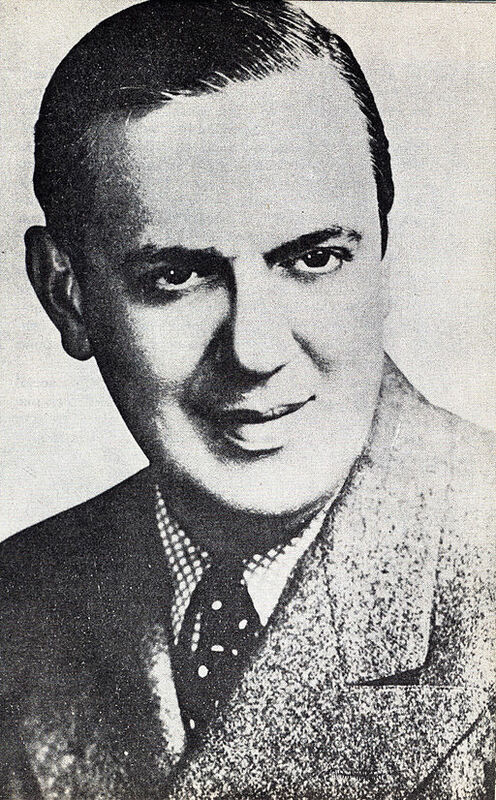 Nevertheless, Ernesto Lecuona can be legitimately included in the diversifi ed group of Spanish language composers that, from the popular tradition, derive an intense repertoire of ideas which enrich the music of the elite, along the course already en route at the beginning of the modern era of composers such as Oritz or Soler, without overlooking the Spanish by adoption, Scarlatti and Boccherini. extraordinarily fascinating due to their dynamism, inner rhythm and expressive scale of sound. The experts were impressed by the ability of his left hand, that seemed to touch the piano keyboard almost as though caressing the skin of a drum. When Arthur Rubistein heard him play Malagueña, he exclaimed: “I don’t know whether or not to admire the genius pianist or the sublime composer”. And when, with the Symphony Orchestra of Los Angeles, he played Rhapsody in Blue in the presence of the composer, George Gershwin embraced him with great emotion in front of an enthusiastic audience. His Latino style profoundly impressed both European and American listeners and was an immediate fascination for many big bands. The American pianist Thomas Tirino has contributed to his revival in recent years. Tirino, who with considerable effort conducted his piano rolls and the first recordings by the composer, has managed to reconstruct the authentic versions of many of his original pieces.